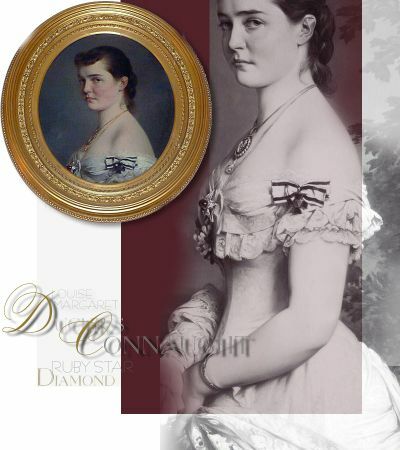 Which grandmother of Princess Luise Margarethe of Prussia, Duchess of Connaught, left her the large star brooch with ruby? *Princess Frederica Wilhelmina Louise Amalia of Prussia (30 September 1796 – 1 January 1850) was a daughter of Prince Louis Carl of Prussia and Frederica of Meklenburg-Strelitz. She was a member of the House of Hohenzollern. 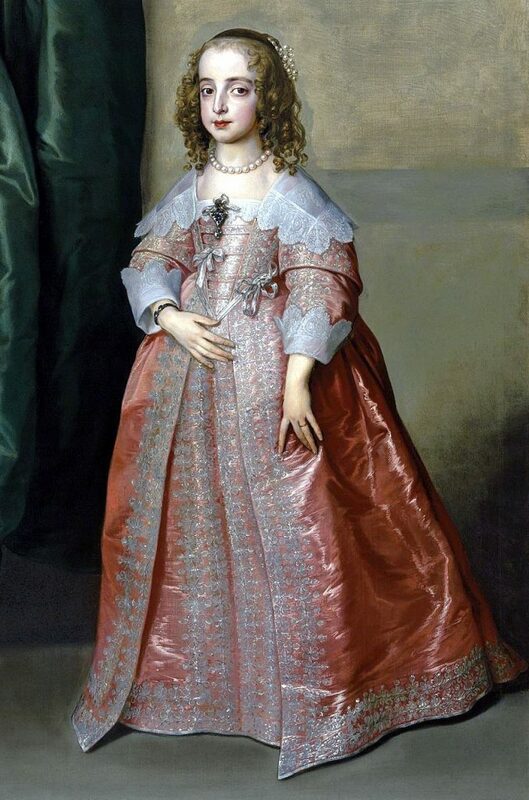 By her marriage to Leopold IV, Duke of Anhalt-Dessau, she would become Duchess of Anhalt-Dessau. 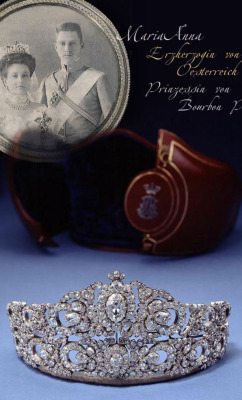 Die Tiara aus Smaragden und Diamanten ist ein Meisterwerk des Schmucks aus der Zeit der „Restauration der Bourbonen“. 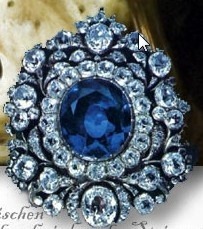 Es bereicherte die Sammlung des Schmuck der Französischen Krone ungemein, die 1887 versteigert wurde. Im Auftrag von Louis XVIII wurde es für seine Nichte der Herzogin von Angouleme, von Christophe-Frédéric Bapst und Jacques Evrard Bapst, Juweliere Krone bis zum Zweiten Reich, ausgeführt. 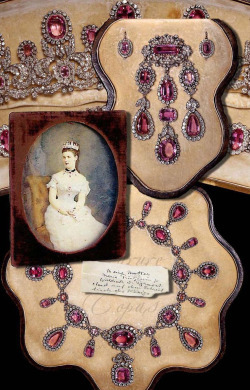 Ein prächtiges Diadem für eine königliche Prinzessin Marie Therese, die Herzogin von Angouleme (1778-1851), Tochter von Ludwig XVI. 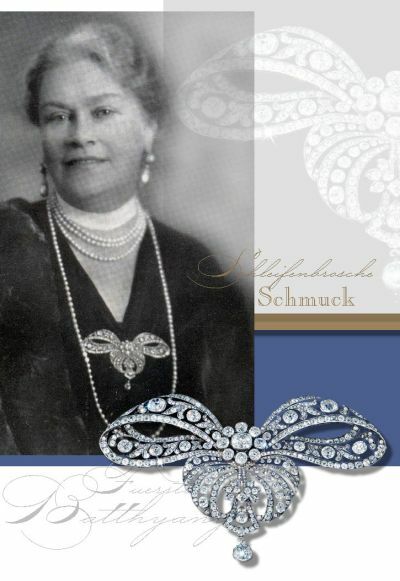 und Nichte Ludwigs XVIII., erhielt dieses Schmuckstück von ihrem Onkel. 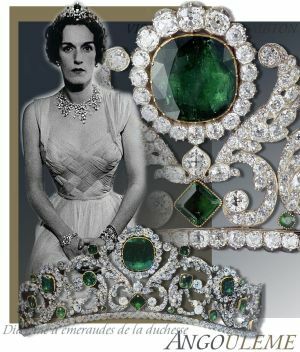 From Imperial and Royal Jewels…This royal tiara of emeralds and diamonds is a masterpiece of the jewelery of the Bourbon Restoration. 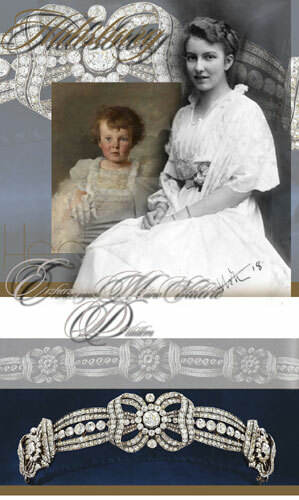 The diadem of Marie Therese Duchess of Angouleme, was unlike the jewelery set, which was the property of the Duchess of Angouleme, inscribed in the inventory of the Crown Diamonds. The jewellers Bapst, used four large emeralds bought by Louis XVIII and diamonds from the Crown collections. 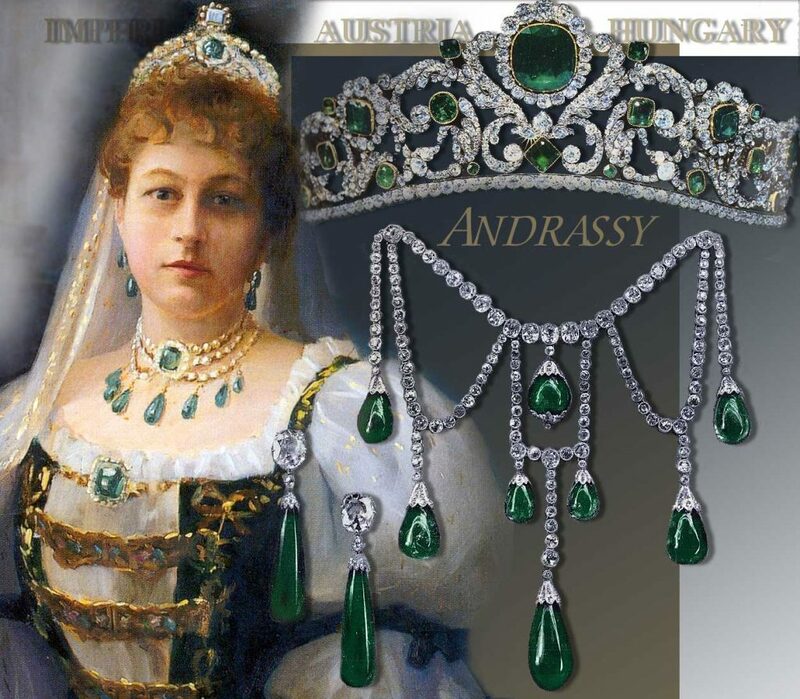 Under the Second Empire, the tiara was worn by Empress Eugenie, who particularly appreciated emeralds. April 1918, es war noch Kriegszeit – entsprechend praktisch musste das kaiserliche Geschenk sein. 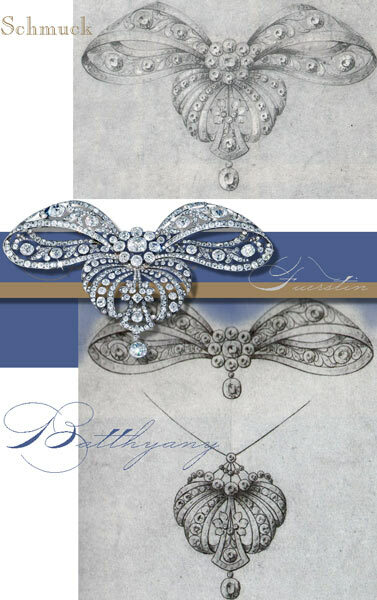 Das Diadem liess sich in fünf Broschen teilen und war für die Nachkriegszeit mit über 40 Karat Diamanten, kostbar und edel, die Brautmutter hatte ausserdem der Erzherzogin Hedwig, Schloss Kühtai überschrieben. Auch die Feier auf Schloss Wallsee war nur im engsten Familienkreis…..
April 1918, it was still wartime – the imperial gift had to be correspondingly practical. 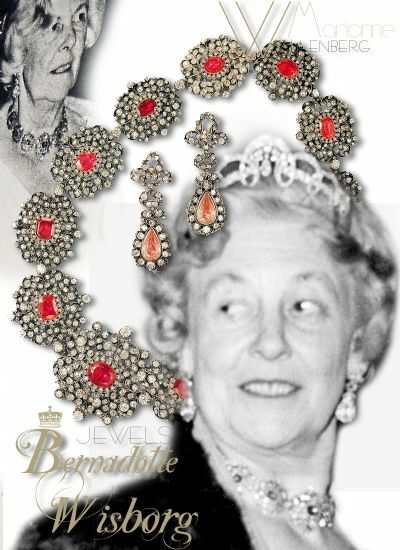 The diadem could be divided into five brooches and was precious and noble for the post-war period with over 40 carats of diamonds, the bride’s mother had also signed over to Archduchess Hedwig, Countess Stolberg-Stolberg,Schloss Kühtai. 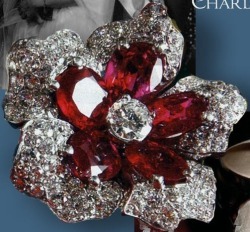 Even the celebration at Schloss Wallsee was only in the closest family circle…..
Royal presents – Showered with costly gifts to Mary Duchess of Cambridge later Queen Mary, in 1901 on the Royal Tour, special from the Canadians – Montreal presented a extraordinary six maple leaf and diamond brooch autum colored. of the ladies of Ottawa. 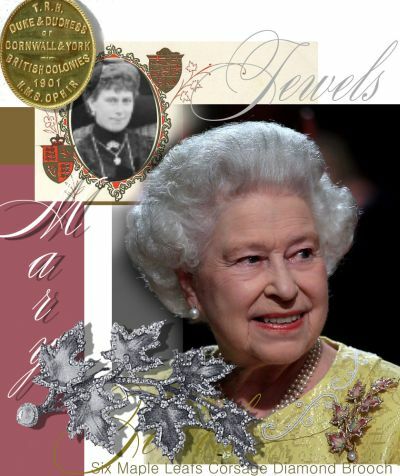 The fur cape was fastened with a gold clasp fashioned into maple leaves, the gift of New Brunswick.